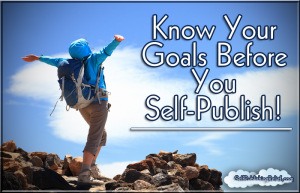 Know Your Goals Before You Self-Publish! You may think the answer is obvious: The goal of self-publishing is to be published! But there are many factors that go into successfully self-publishing your book. Plan ahead and know the goals you need to meet before you reach the final step. Write down what you want to accomplish. Whether it’s preserving your family’s recipes, helping others deal with addiction, or making a certain number of sales, write down exactly what you want your book to do. Note: It’s even better if you identify your book’s purpose and genre before you write it! Identify your target audience. Suppose your book is a nonfiction account of raising a child with special needs. Your goals could be to sell x number of books to parents and educators in your school district, create a dynamic website, and then target state or national organizations to expand your readership. Give your book every advantage. By carefully researching self-publishing companies, choosing a professional, appealing cover, writing a killer book blurb, and making sure your book is thoroughly edited and proofed, your book will have a better chance of attracting readers. Your goal? Take your time and do each step right. Be realistic. Every author hopes to make the New York Times bestseller list, but the odds are staggering. If your book is targeted toward a specific audience (say, gardening enthusiasts), a realistic sales goal may be in the dozens. If it’s a paranormal romance, you may set the goal higher. But if you’re banking on making a small fortune with your first self-published book, there’s a very good chance you’ll be in for a terrible letdown. Establish a timeline. Write down the optimal release date for your book. Develop a social media/blogging/marketing schedule, and set dates for sales goals. Be prepared to revise the timeline as things progress, but seeing your goals laid out will help keep you motivated and focused. Have all the facts. Do you want a print book, an eBook, or both? What kind of royalties and rights can you expect? Where will your book be sold? What is an ISBN number? Do you need to copyright your work before you self-publish? These are questions you should answer before you start the process. Be prepared. You’ll need to create a strong marketing strategy and devote plenty of time to promoting your book if you want to see results. Don’t expect the self-publishing company to do the marketing for you. 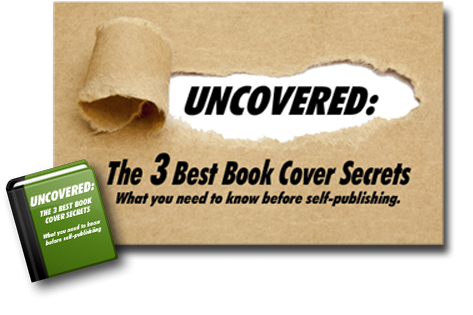 If all this seems overwhelming, you may be tempted to hand your book over to a self-publishing company or vanity press and pay them to “just get it out there.” Many companies offer packages that promise to do it all—custom cover design, editing, press releases, book trailers, “your own personal PR person,” postage stamps and bookmarks featuring your book cover—but these packages can cost up to $25,000 and the results are often disappointing. Our best advice? 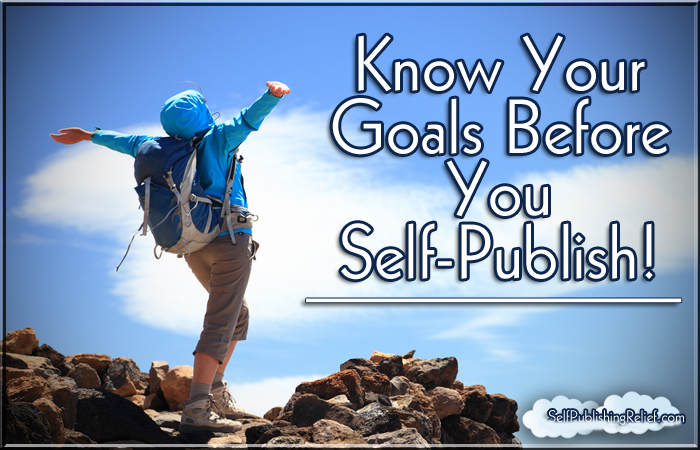 Set your goals before you approach a self-publishing company. No one cares as deeply about your book as you do, and with a clear set of realistic expectations—combined with passion and a positive attitude—your self-publishing journey can be a rewarding one! Self-Publishing Relief can help you set goals and navigate the self-publishing process of creating an eBook and/or print book. And we respect authors too much to make empty, pie-in-the-sky promises. What we do promise: We have the expertise to support and guide you through every step of the self-publishing process. And you’ll have a book you can be proud to call your own. QUESTION: What are your self-publishing goals? One Response to Know Your Goals Before You Self-Publish! Hello I am so thrilled I found your blog page, I really found you by error, while I was browsing on Google for something else, Regardless I am here now and would just like to say kudos for a fantastic post and a all round thrilling blog (I also love the theme/design), I don’t have time to read through it all at the moment but I have bookmarked it and also added in your RSS feeds, so when I have time I will be back to read a great deal more, Please do keep up the excellent work.